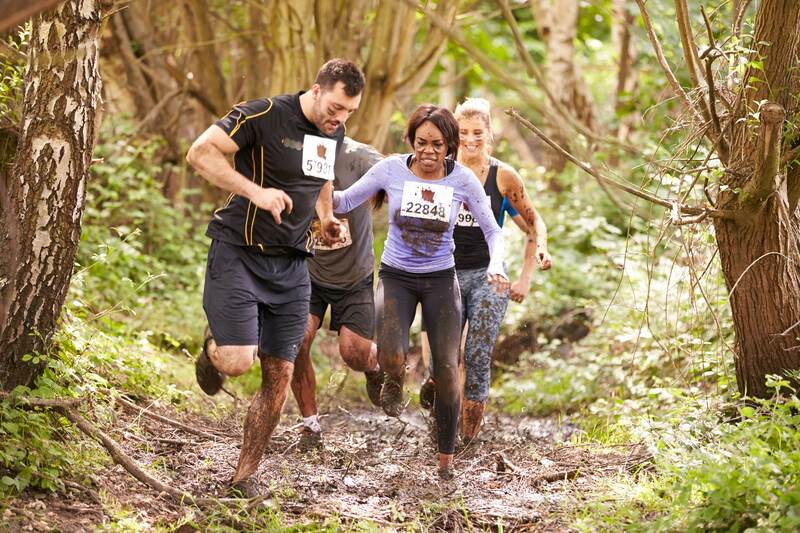 Are you looking just to survive a mud run, or do you want to conquer it? Personally I think you should conquer it with style and then celebrate hard afterwards. your customized massage treatments integrate muscle relaxing heat and deep tissue massage with pain relieving medical muscle stimulation. You are then provided nutrients to decrease inflammation to heal faster. You instantly feel better and recover faster from your training. If you are preparing for one of these Mud Run events like the Tough Mudder, or the Warrior Dash I’m sure you’re feeling the effects of the hard training. Swinging those kettle bells, doing those plyometrics, sprinting on the treadmill, and lifting those weights all take a toll on your body. The same body you need to still make it through your 9 to 5 job without saying “oooh” and “ouch” when you go to sit down. Trying to make your body adapt to all the training is the key to conquering that course and those aches and pains. It’s how your body gets better and better each week. One of the best ways to prepare your body for the Mud Run, Tough Mudder, Warrior Dash, or any of the obstacle style races is to maximize your training and recovery. With hard training, your muscle fibers get inflamed. The inflammation makes the many layers of muscles stick together. That’s why you feel stiff. If you ignore this and don’t treat it, you get those nasty knots and lumps in your muscles. That can lead to chronic pain for years after the event! Getting rid of those knots and lumps restores normal muscle tension and circulation. This will release tension, eliminate pain, improve recovery, and make you feel much better. Let our licensed massage therapists help you eliminate those lumps and knots. Their extensive knowledge in anatomy and high level training under medical doctors have made them experts in getting rid of those knots. We work on Olympic level athletes so we understand how to heal beat up bodies. Typically, your pain will be gone in one to three sessions. Because our massage therapists work directly with our doctors of physical therapy, your treatment will be much more effective than any spa massage. No matter how bad your injury or pain is, we will be able to fix it. If your condition is beyond the treatment scope of a massage, our doctors of physical therapy will evaluate you. We will detect the cause of that pain and recommend the proper treatment for it. The physical therapy is covered by insurance. If you don’t have insurance, we make our cash rates extremely affordable. Either way, we will get you training at 100% intensity ASAP without those nagging aches and pains.